Home / Unlabelled / This is your last Democracy day PMB - Uche Secondus. This is your last Democracy day PMB - Uche Secondus. In his Democracy Day message signed by his media aide, Ike Abonyi, Mr Uche Secondus the Peoples Democratic Party (PDP) National Chairman has said that President Muhammadu Buhari is celebrating his last Democracy Day as Nigerian President. He stated that Nigerians are anxiously looking forward to the opportunity to dispense with the governing All Progressives Congress (APC). He also said that he was sympathizing with Nigerians for finding themselves in such horrible situation where on a day they should be celebrating freedom and good governance, they are instead burying their innocent ones and groaning in avoidable hardship. Mr Secondus enjoined Ngerians to take their destiny and swear never to pass the APC root again by collecting and properly using their PVCs to save democracy and indeed save Nigeria. “If Democracy must survive in our country we must do away with APC and Nigerians are ready and willing to do just that because they cherish democracy as the best form of government. “Going by their poor record of performance in the last 36 months, and the determination of Nigerians to put the country in the right footing, this is the last Democracy Day President Buhari will mark. “Their agenda now is to intimidate, harass and scare opponents to create a Police state with the aim of turning the country into one party state but it must be resisted by Nigerians who passed similar road before and came out victorious. 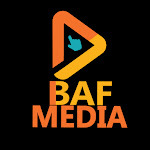 ‘’The next Democracy Day May, 29, 2019 which Nigerians and indeed all lovers of democracy are anxiously looking forward to would be the smooth transition from quagmiry governance to real democracy which the people are undoubtedly yearning for”. 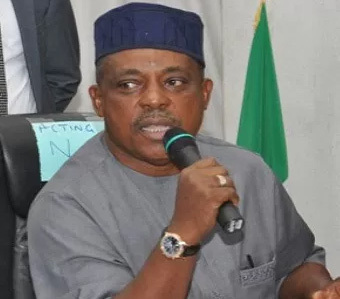 Secondus said that the democracy PDP established and nurtured for 16 years has been grossly undermined by the intolerant and drifting APC administration in the last three years. He called on the international community to show more than passing interest in the events leading to Nigeria’s general election in 2019 as the APC rigging strategy has already started through intimidation and harassment of political opponents across the country.